Wipeout Cancer invites you to join them for a fun and active day at its 3rd annual Sports Day for Charity event to raise funds and awareness for cancer support. 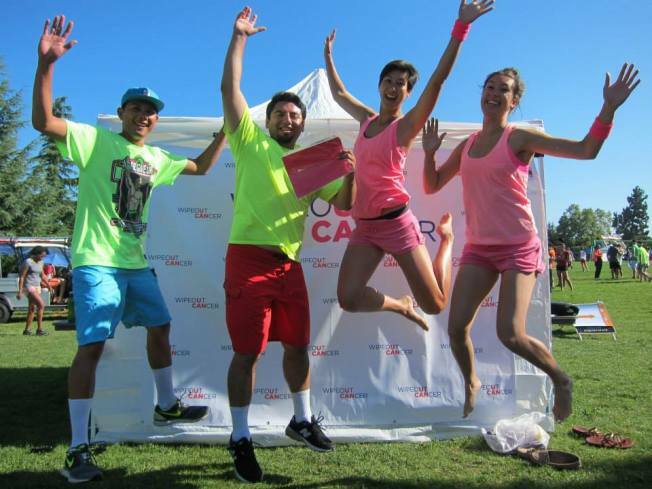 Sports Day for Charity is Wipeout Cancer’s primary fundraising activity benefitting Cancer CAREpoint, including activities such as volleyball, cycling and obstacle courses. The volleyball format is a grass reverse co-ed 4’s tournament split into 4 divisions: Junior Girls, Friendship, Silver, and Gold. The cycling event is a road ride from SJSU through the scenic South Bay. Medium and long ride options are available. The obstacle course is for the kids (ages 4-12). It’s an opportunity for them to test their fitness and coordination abilities, and “play Wipeout”!All participants will receive lunch and a participant t-shirt. Net proceeds from this event will benefit Cancer CAREpoint and Sports Day for Kids. Registration is now open! Deadline is July 6 to guarantee t-shirt size. Register here.